I love straight up rock and roll. Well, not just rock and roll, but the dirty kind! You know the type. The kind of group that harmonizes as well as the Velvet Underground, yet springs and bangs across a soundboard like Sonic Youth. Whenever this type of blend happens, you are sure to find something beautiful. 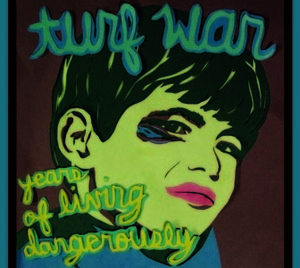 Thankfully, this specifically happens on the debut album from Augusta’s Turf War. Turf War as a group is most definitely not “punk”. But the carefree vibrant feel of Years of Living Dangerously could honestly confuse an initial listener. The echoing, cranked to 11 simple closing track “100 Years” could easily have them confused for an early 90’s anarchist group sprawling the alleys during the days of grunge. But the group’s ability and yearning to harmonize can not actually deter the idea that these guys just want to rock. Move back up the playlist to hear “Back Home”, and you find a more specialized, and much more mellow, version of the band. But, of course, the happy medium, and finest track on the album, is definitely “Cheers To The Years” with an enigmatic and energetic set of hooks, swings, and choruses, it’s really a no-brainer. Years of Living Dangerously may not be the soundtrack to a relaxing drive through the Southeastern countryside. And you probably wouldn’t care to listen to these cats while walking along the beaches of the Carolina’s hand in hand with a new love. 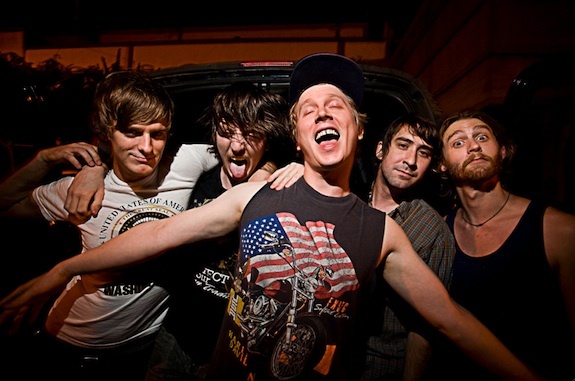 But, if you’re looking to understand the beauty in cutting the back of your friends neck with a rusty switchblade in a dirty Georgia bar and laughing it off together as you mosh the night away and spilling Miller High Life over fresh lacerations and bruises -or- you know, whatever you consider to be fun, this is definitely your band!